It's no secret that I love autumn, probably because I say it at EVERY chance I get. I love a good seasonal drink, the leaves falling, staying in and binging on Netflix. Oh, and coats - lots and lots of coats. Corduroy is a textile I've always strayed away from, it's intimidating to me. I'm an easy going person, and I like to be able to throw things on that don't require much thought. Saying that, this season has introduced corduroy in the coolest form. It seems that Corduroy has taken over - hats, blazers, trousers, suits, you name it. I personally fell for this blazer. It's warm, the colour is heavenly and matches my purchase of the season - the Chloe Tess bag. Another thing this season that I fell for immediately. As someone that spent a lot of time running in the opposite direction of corduroy, I'm kicking myself because it is a dream. 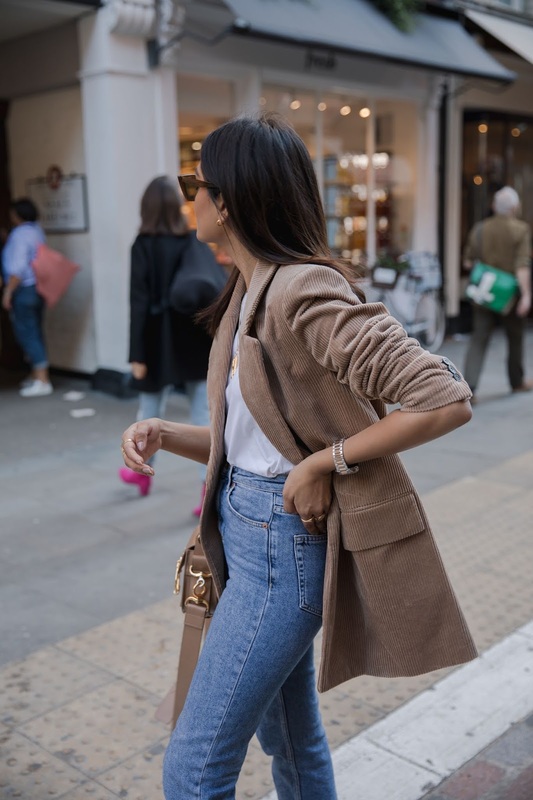 This transitional season has been a little temperamental and this blazer is the perfect piece to see you through this slightly awkward period. I mean, just yesterday London jumped right back to the heatwave and I was positively melting in my overcoat. I'm sure there are so many ways to style this blazer - with some smarter trousers, a skirt, or even over a dress. It's definitely a much more timeless and classic piece than I initially pegged it for. So this season I am challenging myself to tap in to pieces and colours (yes, colour) that I would normally turn a blind eye to. Check back in over the season to see how its going! Keep swiping to shop the look. 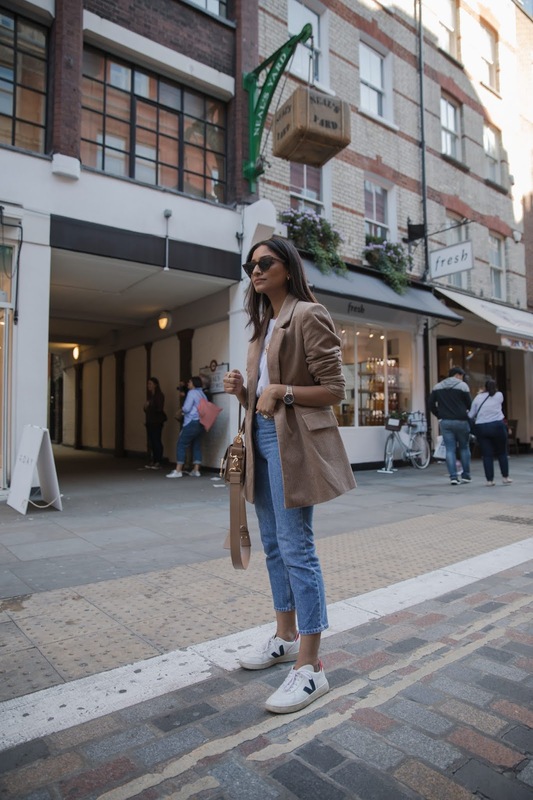 Loved the content of this post Hannah.Love the Autumn Vibes in it. Really Stylish and Pretty.